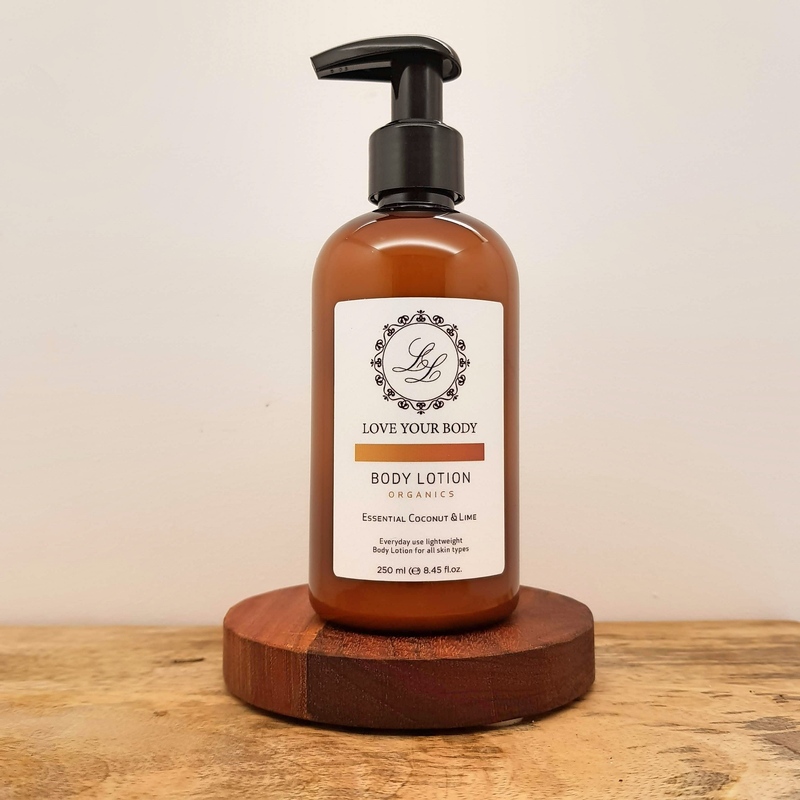 Love Your Body Lotion is a lightweight body lotion infused with subtle hints of fresh Lime & Coconuts. It hydrates normal to dry skin, leaving it soft and smooth. It is light and easily absorbed, leaves skin feeling soft and smooth with a fresh lime and coconut scent. DIRECTIONS OF USE Massage into skin and allow to sink in before dressing. INGREDIENTS Purified Water, Vegetable Glycerine, Caprylic/Capric Triglyceride, Cetearyl Alcohol, Almond Sweet Oil*, Sunflower Oil*, Macadamia Oil*, Coconut Oil*, Lime Oil*, Phenoxyethanol, Natural Vitamin E, Ceteareth 20, Plant Extracts, Stearic Acid, Carbomer, Soya Bean Oil, Dimethicone, Sodium Hydroxide. *Certiifed Organic IngredientsFEATURES Paraben-free, Sulphate-free; Artificial colour-free. Made in Australia. Products not tested on animals.